Day Two of the Great ’07 Road Trip and Fuel Profligacy Expedition®: Wendover, Utah, to Craig, Colorado. We drove somewhere between 450 and 500 miles today on Interstate 80 (first 120 or so) and U.S. 40 (the rest). 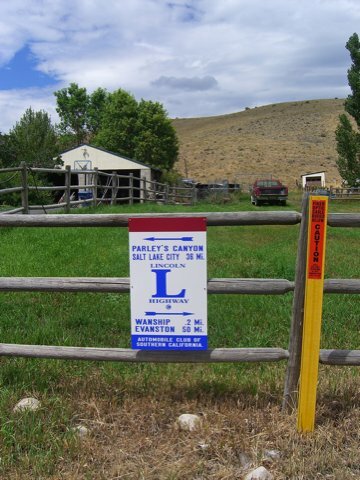 U.S. 40 in Utah and Colorado, like U.S. 50 in central Nevada, lays claim to lying along the route of the original Lincoln Highway; there are signs along the way reminding you. 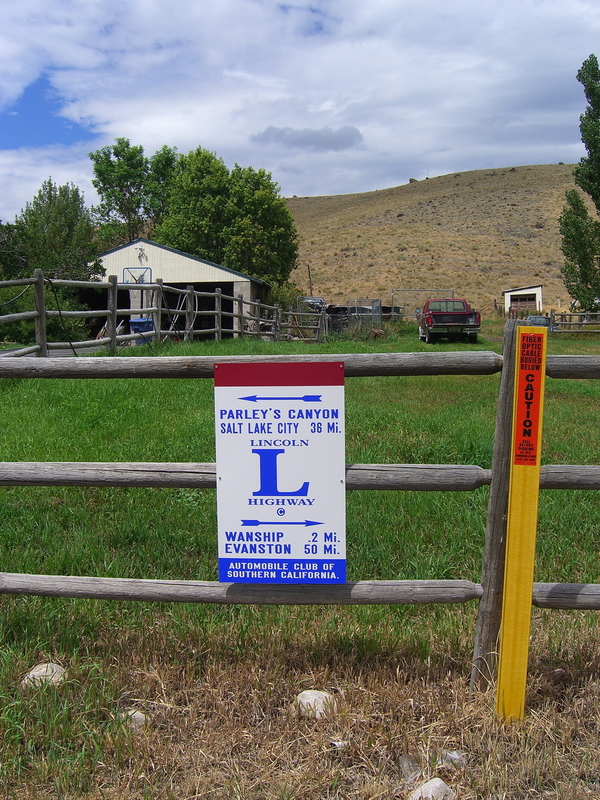 Due to a missed exit — I was preoccupied enough by traffic out of Salt Lake City that I never saw the huge, obvious signs for U.S. 40 — we wound up driving through Wanship, Utah. One of the bonuses was the Lincoln Highway marker below, which carries the name of the Automobile Club of Southern California. The oddity is that it’s on a dead-end stretch of road just outside Wanship, which looks to be a town of about 200 people with an I-80 on-ramp.